One Momma Saving Money: Tips for traveling with your dog! Local Tag: If you plan to travel far from home, consider having an extra set of ID tags made with a local phone number – such as your local family, friends or even hotel. That way if your pet happens to get loose, his or her rescuer will know that someone is searching for them nearby. Most pet stores have a do it yourself machine and at under $10 a tag, it is worth it! Collar, Leash & Poop bags: Remember that taking Fido out of the car for potty breaks must include his collar being secured and him being leashed. Be prepared for them to sniff FOREVER before doing his business. Make sure to clean up after Fido! Trail Run: Take a trip around the block to see how he reacts. 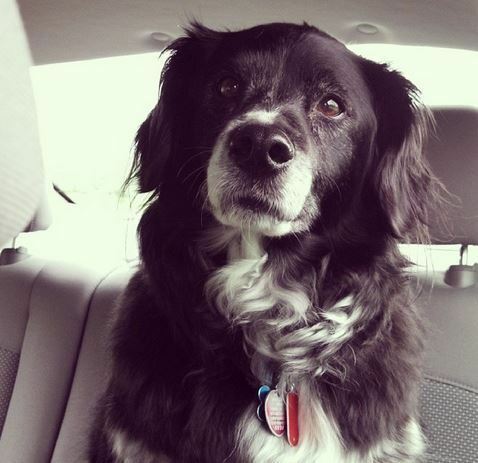 If your pooch gets car sick like one of mine, then reach out to the vet prior to going on the big trip!